McLeod in a day (fail!). Despite lingering Achilles tendonitis in both legs that sprung up after the Rut, I did my best to participate in an active recovery, including some slow runs on the Sentinel fire road, as well as a time trial on the Sentinel hill climb with Brian Story. Trying to keep up with Brian (and failing) led me to a new PR on that section in 25:10, despite the fact that my Achilles were notably upset with me. With the forecast heading south for this week, I wanted to get in a solid effort on Saturday. 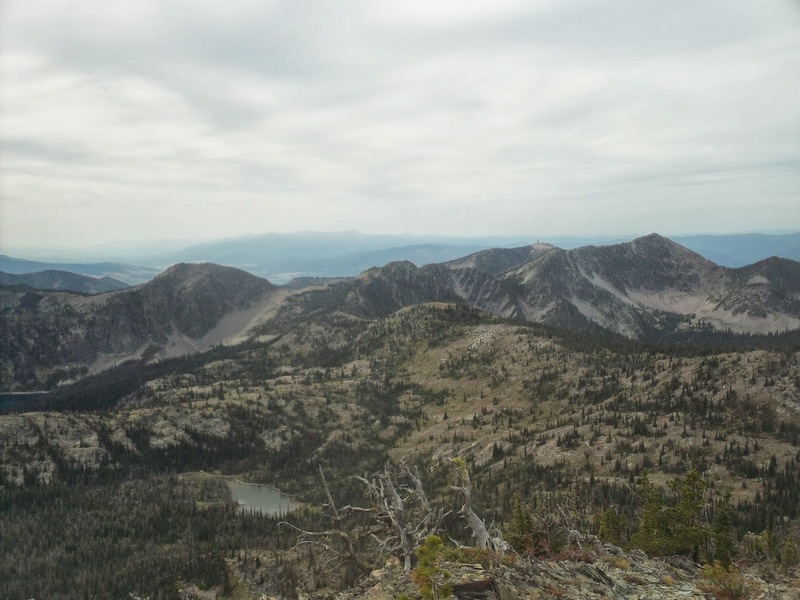 My legs were feeling okay, so I opted for an attempt on the highest mountain in the Rattlesnakes, McLeod Peak (8620′), via the second highest (named) mountain, Murphy Peak (8167′), and Point Six. I started from the Snowbowl base at 7:00, and started running up the gated access road. Immediately, I was hit with some Achilles pain, but they didn’t seem to be stiffening up or getting worse, so I just walked the steeps and tried to not worry about it. I made it to the top of Point Six in 1h08m at a relaxed pace. I’ve never climbed Snowbowl before (except the skin track during winter once), so I didn’t know any of the myriad routes that would have been faster and better than this one. 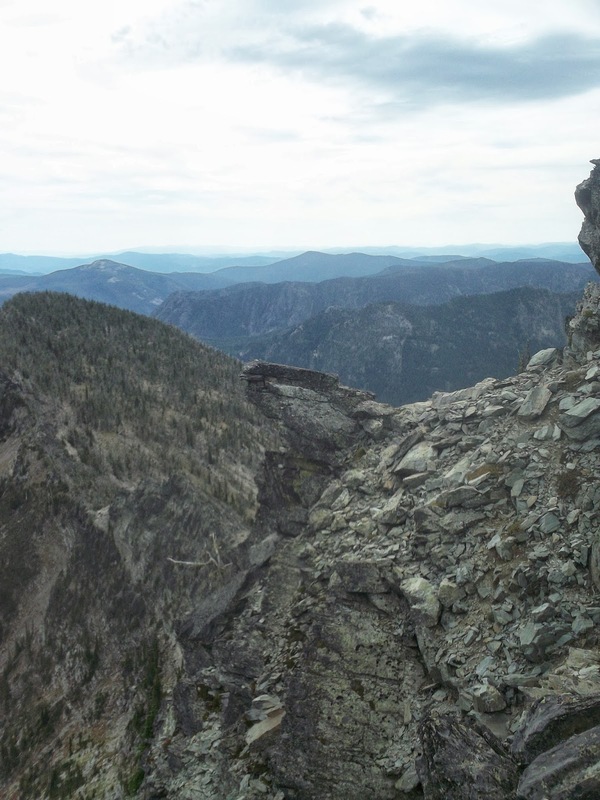 Retrospectively, I should have just hiked up Paradise to N. Dakota Downhill or directly under Grizzly Chair. I never realized that the Death Star was so goddam huge. What do they keep in there? The ridge run to Murphy went fast, and I got some great views of the snow-dusted Missions. I am once again amazed at how much more snow they get than anywhere else. Beyond Murphy, the ridge started to get spicy. Eventually, I had to downclimb some loose class 3 to get around some gendarmes on the ridge. This was some pretty chossy and sharp shale type junk, and the scree was too thin to ski, and the holds were all negative, so the going was sort of slow. I hit a small col above Finley Lakes here, and then had to climb at the 4th class level some pretty solid pink quartzite to regain the ridge. The climbing here was fun and rather exposed, but slow once again. 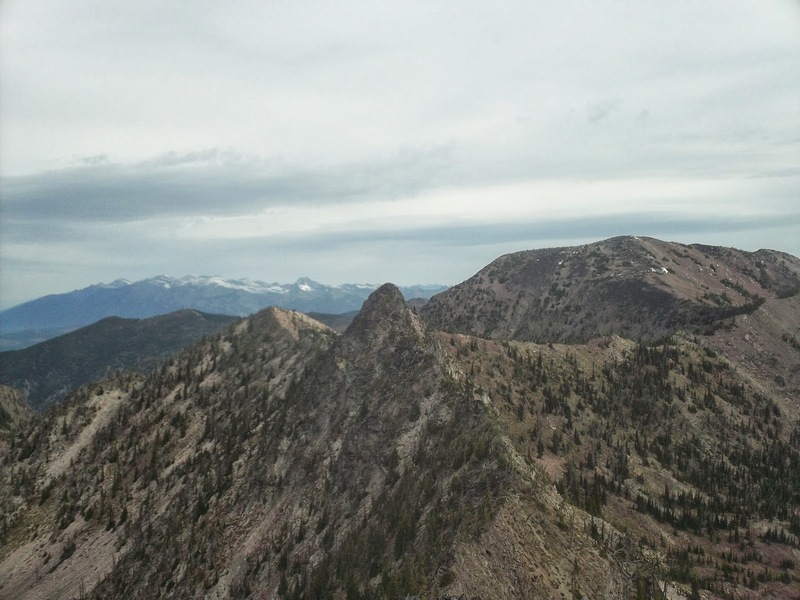 Things mellowed out here, and a few miles of straightforward ridge running and sidehilling finally brought me to the crux of the route, and the section that turned me back, two unnamed high points that look rather like bunny ears when viewed from Mosquito Peak. The western ear is easily surmountable, with a nice talus gully leading up and over. The ridge between the two was also plausible though exposed. The eastern ear was highly exposed, wet (snowy on the N. sides! ), and looked to be upper 4th, perhaps 5th class on loose rock, and more than I wanted to deal with solo and so far in the backcountry. I made a tentative effort to downclimb into the basin to the S., but ended up getting cliffed out. 4h30m into the day, with weather looking like it might deteriorate and plenty of scrambling left to do, I opted to turn around. The scrambling on the way back went slowly again, and routefinding through the 4th class bit was trickier than going the other way. I ended up back at Point Six at the 7h30m mark, and I took the Beargrass Highway back down, which is tremendously fun and fast running, and made it back to the truck around the 8 hour mark. I’m going to have to successfully summit now. I’ve got a strong idea how to do it more easily now, mainly by bypassing most of the trickiness. The ridge run is elegant and fun, but also slow, and the traverse to Sanders Lake across upper Grant Creek, despite the lack of trail, seems like it would be straightforward (I know it is during the winter). 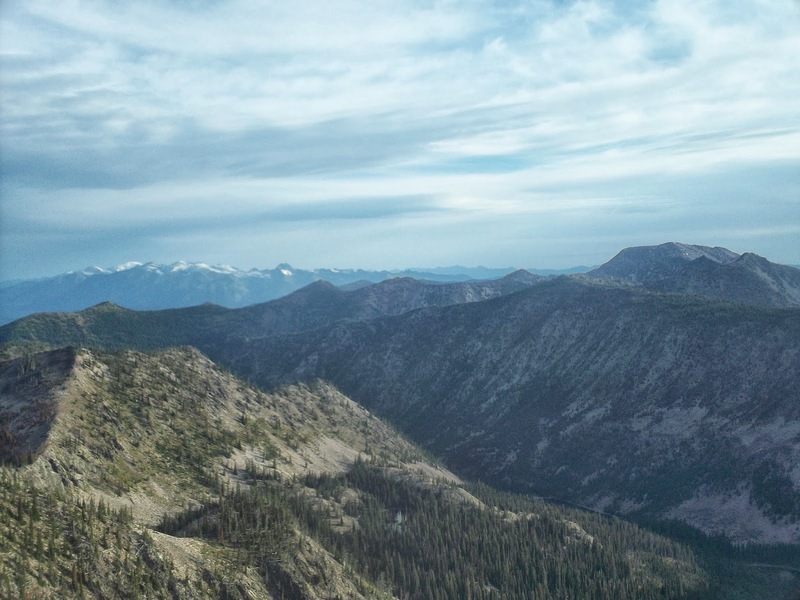 From Sanders, I intend to contour around the ridge that extends south from the west rabbit ear, and from there, it’s a simple matter to regain the ridge and climb it to McLeod. Now just waiting for the weather window and the time. Total distance for the day was 19 miles with 8000′ vertical. The complete route would be more like 23 miles with 10000′. Snowy Missions from Murphy Peak. The East Rabbit ear from the west, looking difficult. Previous PostThe Rut 50kNext PostFall and Winter recap, and a return to posting.